Upload your own GPS doodle and win a BeeLine bicycle GPS. Canadian Stephen Lund has established himself as one of the world’s leading ‘Strava artists’. Strava is a website and mobile app used to track athletic activity via GPS. 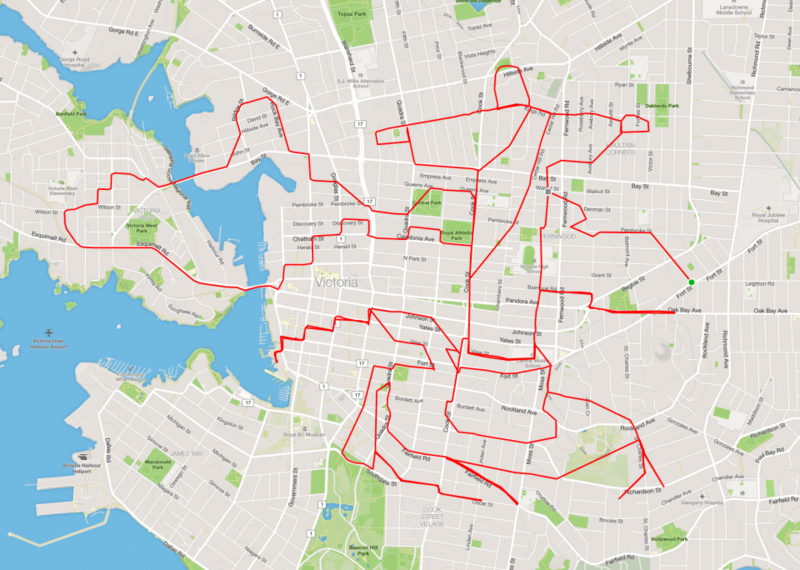 He creates GPS doodles on the streets in and around Victoria, British Columbia. Lund carefully plans out a route on his bike, then uses a GPS computer to track his ride. When uploaded to Strava, the route forms a picture or message. Strava is full of doodles: Thanksgiving turkeys, the Queen and David by Michelangelo have all been a track of cycling fanatics. Stephen challenges you to do the same. Create an original Strava doodle to win a BeeLine bicycle GPS! The contest runs until 23 October 2016. Good luck!